Have you ever wondered what hinders your progress and prevents you from achieving you goals? Very often the reason is that you’re trying to do too many things at once, either because you have too little time or too little patience. Focusing on too many goals at once is a straight path to failure, unless you use a proper method consisting of thoughtful planning and execution. One of such methods is periodization. The method called “periodization” was originally conceived and developed in Russia to meet the needs of professional athletes preparing to an event or competition. Later it spread all over the world. Generally speaking, we can define it as cycling of different training programs pursuant to one’s goals and capabilities. The scientists who came up with the idea discovered that, by cycling through different training periods or “training blocks”, the athletes were able to get in the peak form exactly when they needed to (when they had to compete), and not, say, when it was too early or to late. After reading this many people can think that periodization is some sort of rocket science accessible only to the Olympic superheroes and completely unsuited for ordinary mortals. Well, don’t get discouraged just yet! Fortunately, the general idea behind periodization can also be used to benefit people who aren’t professional athletes. It can help them to reach their goals in a faster and smarter way without having to worry about losing their gains. 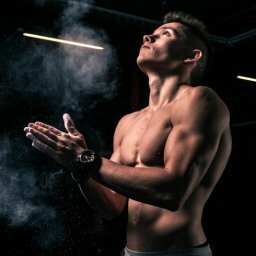 In the paragraphs below we will show you how you can use this method to increase your performance, no matter what your goals are: boost your strength, raise your endurance or just learn to do a cartwheel. Now we can delve into more details of periodization training and how it can help you. To put it simply, this training method means concentrating on one specific skill, attribute, or program for a particular period of time, then moving to another attribute or program according a predetermined and progressive agenda. In other words – it’s all about setting your goals and careful planning. Those two factors are of crucial importance both in sports and in life. Think about it: how can you reach a destination if you don’t know where you are going? Or even if you do, you follow the wrong path? The answer is obvious. That is precisely why you won’t achieve much training in a haphazard way, trying to focus on too many things at once. And yet, this is exactly what so many people do. They hit the gym every now and then without following any schedule, and after doing some randomly picked excercises (and very long breaks in between to check out what’s new on Facebook) they go home glad they did “something good” for their health. Sounds familiar? And what about that New Year’s resolution to do push-ups twice a week for 15 minutes? When after two months you start asking yourself: but why am I actually doing this? Well, doing excercises for excercises’ sake gets you nowhere and you start reminding of a hamster pointlessly running inside a wheel. It’s important to remember that the workout itself is only a spark that initiates a process of neurological and muscular adaptations responsible for physiological change which occurs when you’re building strength or mastering a new skill. The process itself, however, takes place after training and requires some time. This is why we need rest periods. Without them the body doesn’t have the chance to adapt to the physical demands it is exposed to during a workout, and gets weaker instead of getting stronger. A good program not only involves the right exercises, but also allows time for recovery. Only when you combine these factors properly will you be able to achieve your goals. Pointless training and excessive excercise are in fact two sides of the same coin, as both hinder your progress and prevent you from achieving your objectives. In order to set yourself free out of this vicious circle, you have to start by clearly setting your goals. But don’t be deceived – it’s not as simple as it sounds. As a matter of fact, many people find it rather difficult to clearly identify their goals. When people speak in general terms about what they want to achieve, they usually don’t have problems defining their objectives. It’s easy to say: “I want to increase my strength”, “I want to lose weight” or “I want to be a better runner”. The real problem begins when we get into the specifics. It’s not enough to say that you want to get stronger. You should also be able to say why exactly you want to increase your strength. Who or what precisely makes you want to achieve goal? What indicators you can use in order to assess your progress? This kind of questions will help you to identify what your specific goals are. In order to better define your objectives, you can also determine first what is important to you, and how good you are at doing this now. Then choose the attributes that would help you to do it better. Once you’ve gone through this procedure, you will most likely find out that you have only one or two main goals. And though there may also be other things and attributes you want to work on, the majority of people will have a very limited set of chief goals. Generally speaking, such assessment means testing your levels of strength, flexibility, and motor control. They are the most important factors to be considered, as any skill you want to master consists of these three elements. It often happens that one of these elements falls behind, and that is where you need the most work. Once you’re done with this task, you take the next step. An appropriate assessment should enable you to prioritize properly. Prioritizing is crucial no matter what your goal are. What’s more, you should focus on no more than two things at once – anything that goes beyond that will be unrealistic and impossible to carry out. Making a simple plan can prove very helpful when trying to set your priorities properly. You should only know what is your starting point and where you want to go. This will let you determine what steps you should take in order to get there. Let’s say that your goal is to master muscle-ups. You’ll have to be able to do a pull-up first, then you’ll need to do it with a false grip. You’ll also need to be able to do a dip from a full stretch position. You can also adopt the opposite approach, and go backwards from the skill you want to master to the starting point looking at all the steps in between. This will help to figure out what is stopping you from making any of those steps. 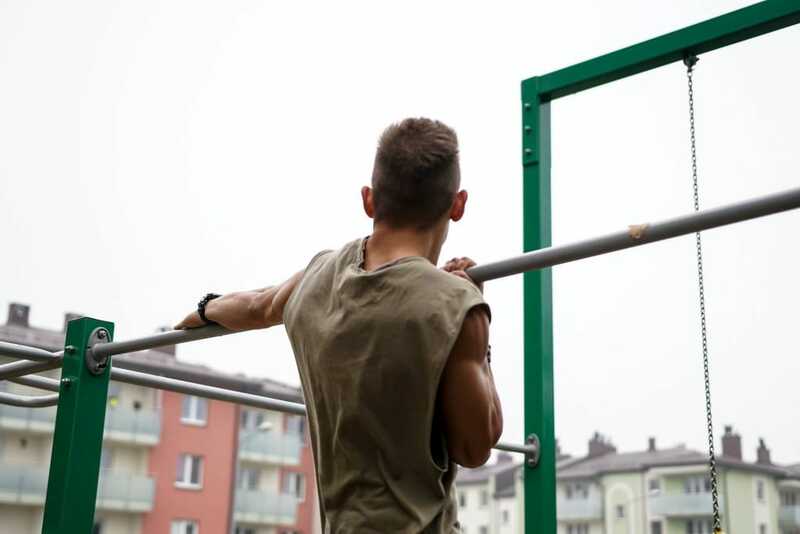 For instance, you can’t perform a muscle-up because you’re having trouble with your pull-ups. Now you have to determine why exactly; maybe because the muscles in your mid-back are too weak. These are the specific points you have to address and plan for. After determining your goals, doing a proper assessment and setting your priorities, you can use periodization to achieve your goals in a smarter and easier way. All you have to do is to break the attribute you have chosen (say, strength) into training “blocks” (periods of time) – usually 4 to 6 week long. Hence your periodization training may look as follows: you could spend 4-6 weeks on general conditioning, the next 4-6 weeks on strength, and then focus on a more specific end goal, for instance, strengthening those weak muscles in your mid-back. The great thing is that, once you’re finished, you can cycle back through training periods. Not only will it prevent you from losing your gains, but it will also speed up your progress towards each goal, as you will be adding new skills and attributes to the already acquired ones. Of course this is only one example to give you the general idea, as there’s tons of other possibilities. This flexibility is, by the way, one of great advantages of periodization. It’s very easy to adjust your training to you needs changing the number of blocks and their volume so that they suit best your purpose. For instance, while mastering a particular skill it a good idea to close the cycle with an additional block combining everything from the previous phases into a skills flow. This is the first possible approach, the linear one. The other, the non-linear one, is the approach where shorter blocks are used. In this case, you can work on different attributes on different days of a week, hence a block will be just one day. Periodization is a great method of improving your athletic performance. But as every method, it must be applied correctly in order to bring good results. As we have showed you, there are same necessary steps that have to be taken and without which you cannot expect progress. We also pointed out that these steps are not always as simple as they may seem. Even such an easy thing as defining your goals can be in fact more complicated that one could expect. Things get even trickier when we proceed to the assessment. It’s not easy to properly assess your abilities on your own but, as we already know, this is indispensable to move to the next step which is prioritization. This is, in turn, followed by plan which leads to set up a periodization cycle. It’s true that you can do it all by yourself and still get good results. In practice, however, it is much easier to use professional assistance. An experienced trainer familiar with the method can be of invaluable help and guide you smoothly through all the necessary steps of the process, furnishing you with a proper training program adjusted to your needs and abilities, answering your questions and controlling your progress. This is especially true in the case of beginners, whom such professional guidance will also help to minimize the risk of injury. But even those who already have some previous experience can benefit from such help and learn new things.